Not long ago, I posted an article that showcased some of the most luxurious walk-in closets. However, while they were beautiful eye candy, and certainly something to dream about, I know that most of us do not have closets like those. 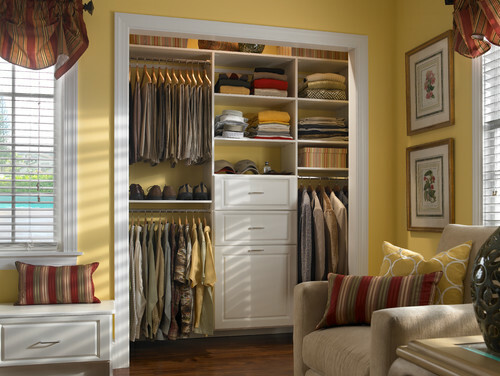 What most people do have is are simple small closets that can sometimes present issues with storage. With that in mind, I wanted to get down to the nitty-gritty and show some small closets tips and tricks for optimizing space. 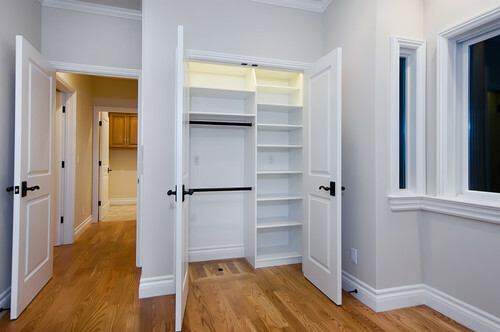 When we think of small closets, we generally hope that the closet is meant for a child. 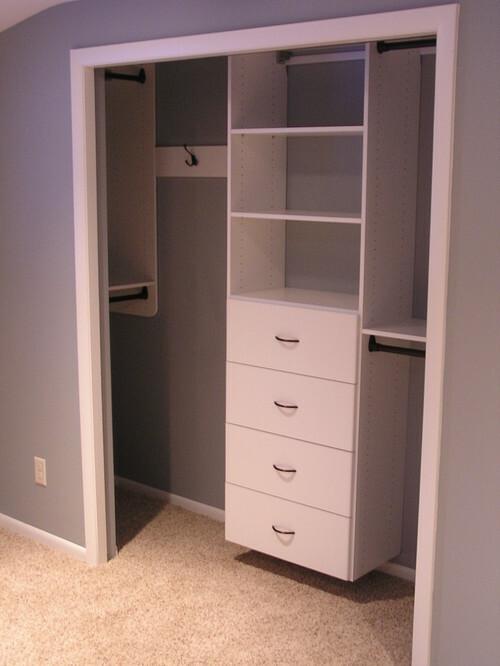 Small closets meant for children are much easier to organize than one being used for an adult. The clothes are smaller, and by virtue, all of the drawers, shelves, and rods can be compacted closer together. If you have one of those small closets that is long but narrow, accessing that space between the wall and the far end of the closet can be a hassle. Consider turning the rods widthwise to be able to easily view the clothes at that end. Sometimes, you just get stuck with a space that seems like the builder forgot all about the closet and then tried to stick one in a niche somewhere. Sort of the way that a sloped ceiling closet can feel. Here, this very small and narrow closet turned the rods width wise because the narrow depth would not allow for the hangers to hang forward facing. The area beneath the rods is also put to good use with very narrow shelving. This closet plan can be done in closets as narrow as 4 feet. 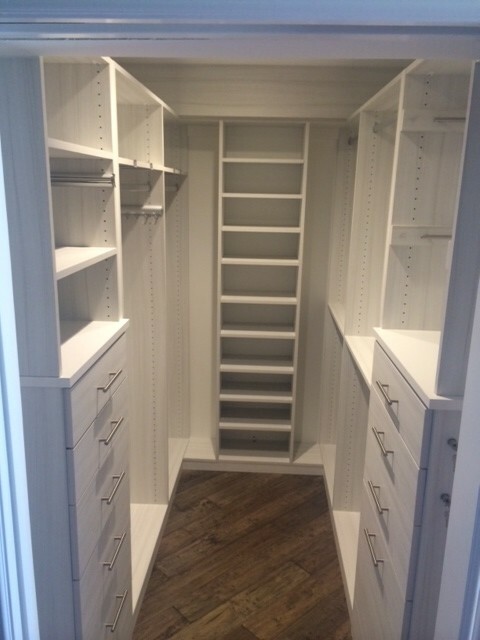 Instead of small walking with a single rod at the back, this closet has installed drawers at the rear and hanging rods to the left. It’s not the smallest closet out there, but it certainly has utilized the space to the best of its ability. This is a slightly larger version of the closet above. The difference here is that the right side of the closet allows for storage space, as well. Note that floor space is left at the very minimum needed to access the clothes. 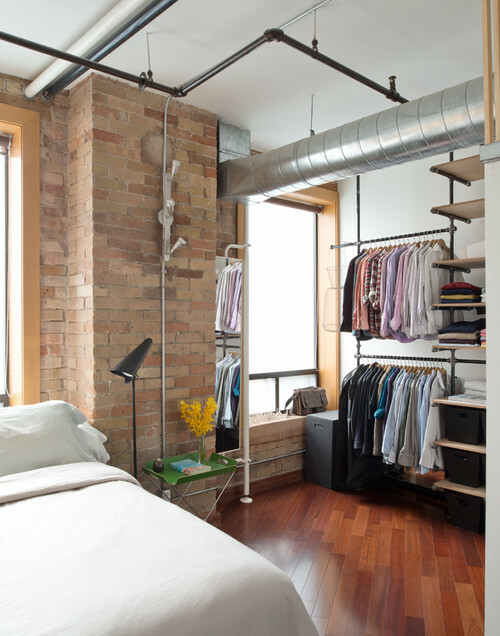 If you do not have enough closet space consider creating one in unused wall space. Here, a built-in wardrobe was added to this bumped out area created by the framing that supports the ceiling. 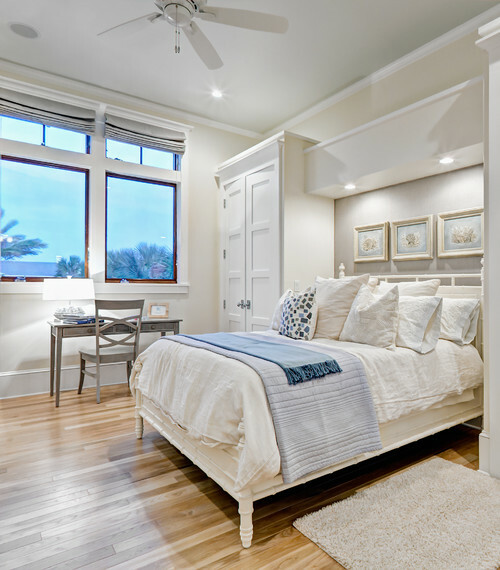 If you can forego nightstands, consider using that space to build a bed surround that hosts a closet on either side. It doesn’t take any more space than a nightstand, but it affords a wealth of storage space. Plus, The little nook created for the bed to recess into is quite cozy. If you would like the built-in surround, but don’t want to sacrifice the nightstands, consider a surround that includes both. Here, a narrow pull out storage is built in along the side of the nightstands. This allows for storage of anything that can be placed depth wise. Generally, shoes can easily be stored here, but if your room allows for a few more inches, clothes can be hung boutique style as well. If you have the industrial look, you are really blessed. This style allows you to place clothing storage along just about any wall. Build it out using plumbing pipes and shelves. The materials will blend beautifully with the design. 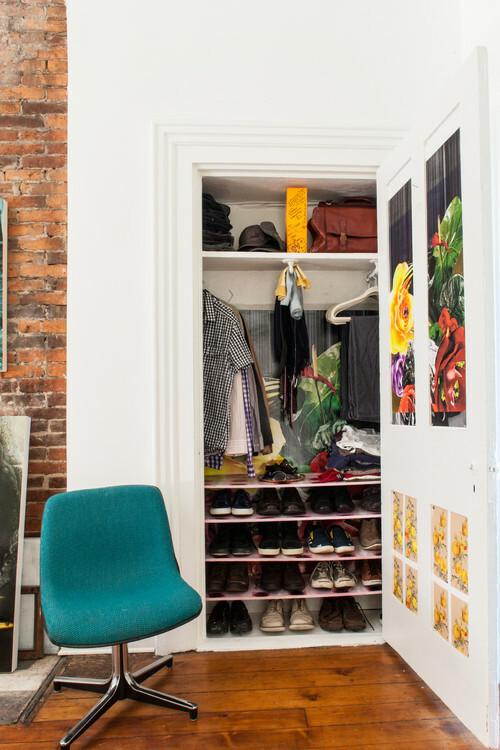 Hopefully, these small closets have offered you some ideas for your own storage solutions. If you have other great tips, please feel free to comment below. 🙂 And don’t miss my space-saving techniques for your clothes!